Each block is a specific input ‘pen’. Each triangle is an alarm on that pen. A triangle pointing down is a low alarm; a triangle pointing up is a high alarm. PV: is the process value. The one limitation of the earlier X series recorders, was the alarm screens were static. If there were more alarms than fit on a single screen, an operator had to use the ‘next’ navigation button (in the lower right in the screen shot above) to bring up a second or third alarm screen. Any other process screens, trends, digital or bar graphs, can be accessed from the screen list, as needed. They don’t have to know any programming to make an alarm screen. 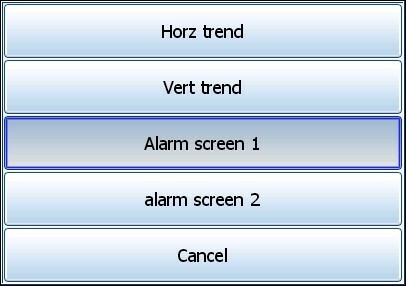 The alarm screens are standard and populate automatically as alarms are configured. They can add, delete or edit alarm configurations as needed, from the recorder touchscreen, without software or the skills of a systems integrator. It’s all menu selections. No code, no development software, no license. Alarm notification covers the whole spectrum – a relay output to a klaxon, a strobe, an auto-dialer, or a remote annunciator at the guard desk. Plus, with the new recorders, notifications can be sent via email and/or text message. Not everyone needs historical trending for regulatory or compliance purposes, but a good number of recorder users fall into that category. 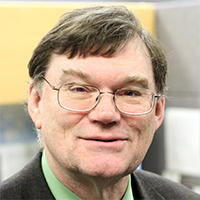 For them, a recorder combines historical data trending and real-time alarming without needing a systems integrator to get it up and running or to make incremental changes over time. This entry was posted on November 10, 2015, 9:56 am and is filed under Honeywell, Paperless Recorders, Trendview X-Series Paperless Recorders. You can follow any responses to this entry through RSS 2.0. You can leave a response, or trackback from your own site.